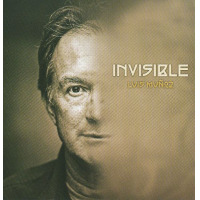 Muñoz, who was born in Costa Rica, played in rock and jazz groups in his native country before moving to the United States in 1974. He soon began writing music for documentaries, animation films, dance and theatre. His first compositional project, commissioned by the Government of Costa Rica, was Costa Rica Costa Rica. It was not long thereafter that he signed with CBS Records and released La Verdad in 1988. Perhaps his most ambitious recording came in 2007 with Of Soul and Shadow (Pelin Music), on which his compositions captured Costa Rican folklore, classical music and jazz through the vision of 25 musicians. Though he uses 23 musicians here, Muñoz breaks the conglomeration into units ranging from a duo to an octet. This serves his purpose well as he channels his music into the straits that make them stand up and singor, in the case of "Esperanza," glow with meditative beauty. Bassist Tom Etchart and classical guitarist Chris Judge not only understand the emotion of the tune but each other also, turning on the glow. "Adam's Dream" switches the beat, dancing on a percussive bed that is stirred by the several instruments that Muñoz plays, over which trumpeter Jonathan Dane describes a dreamy arch. 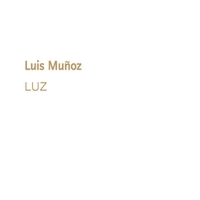 The latter mood is expanded by Muñoz, who unravels his ideas on piano in an illuminating and flowing stream. The arrangement adds to the overall ambience as it captures the instruments, giving a voice to each. 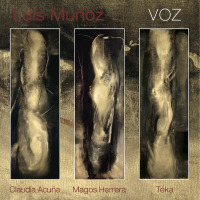 Two tunes featuring vocals juxtapose themselves as beacons of Muñoz's ease in different genres. The gospel inflected "Hymn" has an earthy vocal from Lois Mahalia, with Muñoz adding to the texture on piano. The sizzling Latin song, "Manantial," has a sassy vocal from Teka Pendiriche, with chromatic harmonicist Ron Kalina adding to the tang. 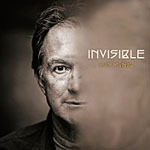 With Invisible, Muñoz has created a framework that dimensions his music in all of its beauty and essence. 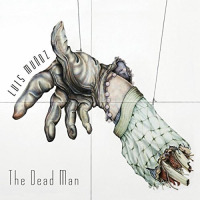 Personnel: Luis Muñoz: piano, synthesizer, drums, cajon, caxixi, bombo legüero, djembe, shekere, tama, percussion, alto flute, pad; Ramses Araya: bata drums, cajon, cymbals, bongo, congas; Jonathan Dane: trumpet; Tom Etchart: acoustic and fretless bass; George Friedenthal: piano, pad; Narciso Sotomayor: electric guitar; Nico Abondolo: acoustic guitar; Robert Clements: shekere; Bill Flores: pedal steel guitar; Gilberto González: acoustic guitar; John Nathan: marimba; Adam Asarnow: piano; David Binney: alto sax; Brad Dutz: quinto, percussion, marimba; Jimmy Calire: Hammond organ; Lois Mahalia: vocals; Chris Judge: acoustic and classical guitar; Justin Claveria: tenor sax; Jeff Elliott: trumpet; Ron Kalina: chromatic harmonica; Teka Pendiriche: vocals; Andy Zúñiga: background vocals; Laura Hackstein: violin; George Quirin: acoustic guitar.